Something I often long for as a busy Mum is some ‘me time’. Something even better would be some pamper ‘me time’, maybe a day at a Spa with some relaxation and a massage and having some luxurious and skin benefitting products used on my achey and tired body. However, I do not have the time or the money to be able to afford such things, so the closest thing to it is when I have a nice, long bath once a week and enjoy it in peace once the boys have gone to sleep. Recently, I have been sampling some gorgeous bath products which not only sound amazing, but they look amazing and they smell divine! A fellow blogger and Mum to two, Helen is like some kind of superwoman. 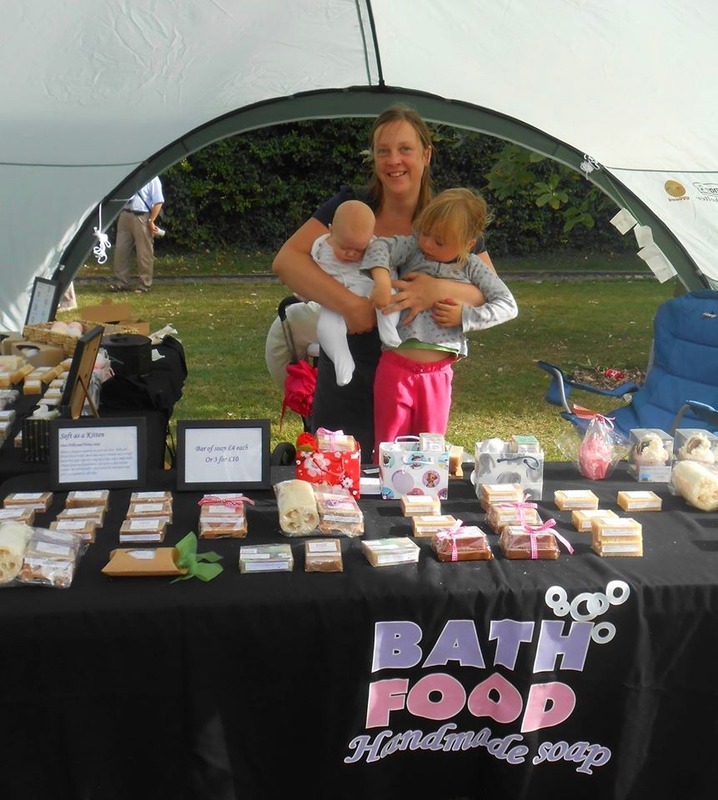 Not only does she raise her two young daughters and bake the most amazing looking cakes and bakes (if you don’t believe me check out her blog) and other home cooked fayre and even cocktails, aswell as creative arts and crafts, BUT she also runs her own soap making business, Bath Food. Is there no stopping this woman??? 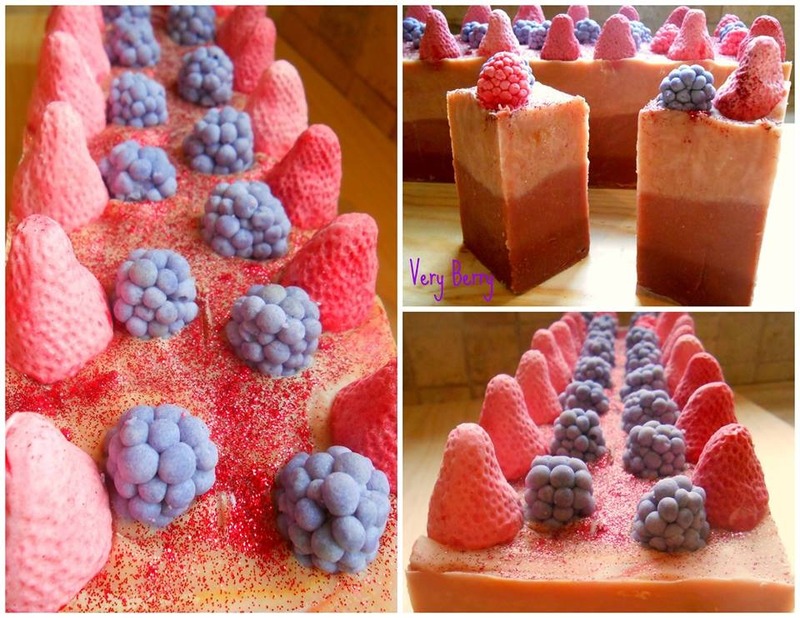 Having browsed her Bath Food facebook page, it is no surprise that her handmade soaps look as stunning as the food on her blog because she is clearly very creative and very clever, I mean look at these soaps they look too edible , indeed I feel I almost want to eat them and then I remember that they are infact soaps! However,are these soaps more style over substance or do they actually work and have benefits on my skin? 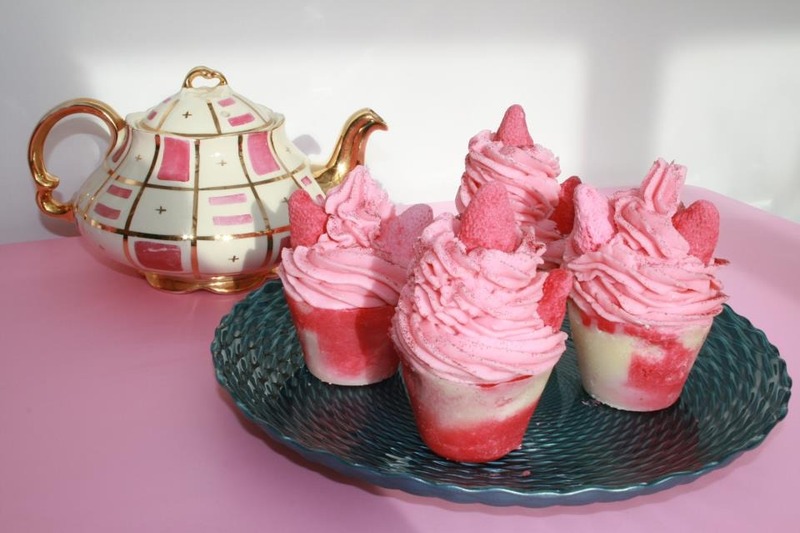 I have been trialling some Bath Food soaps for a few months now (yes, I am a little late in posting my review – sorry Helen! 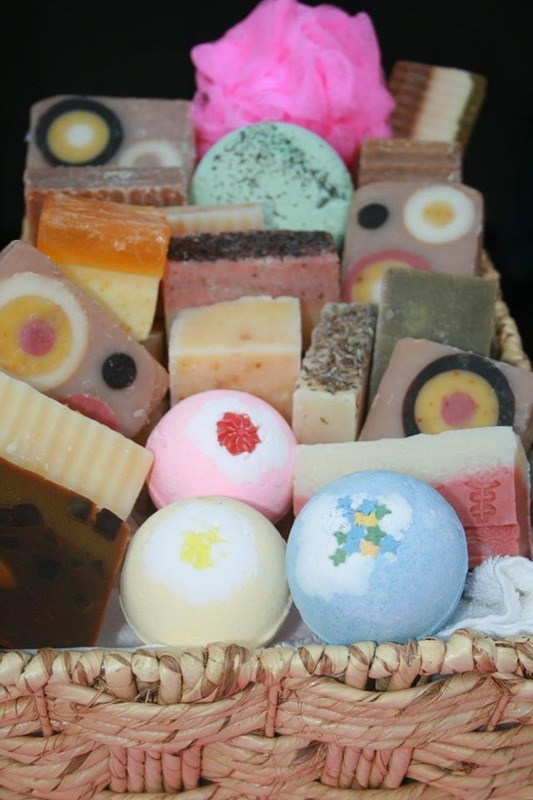 ), and I can honestly say that these are some of the nicest – maybe even the nicest – handmade soaps I have ever used. In the past I have bought soap goodies from Lush and a local handmade soap company, as a little treat to myself so I beared this in mind as I used the Bath Food goodies. I have to say that I have been really impressed by Bath Food, and how nice they have been on my skin. Not only do they smell sooo good, but they have left my dry skin feeling supple and smooth which is a lways a good things as I suffer with dry skin especially on my hands and feet. The nettle soap in particular has been a dry skin life saver , it contains tea tree oil and lavendar which both contain healing properties. I think my favourite from the selection I was sent, has been the Oats, Milk and Honey Shea Butter bar – it smelt lovely and I loved the fact that the top of the soap had actualy oats scattered along it! 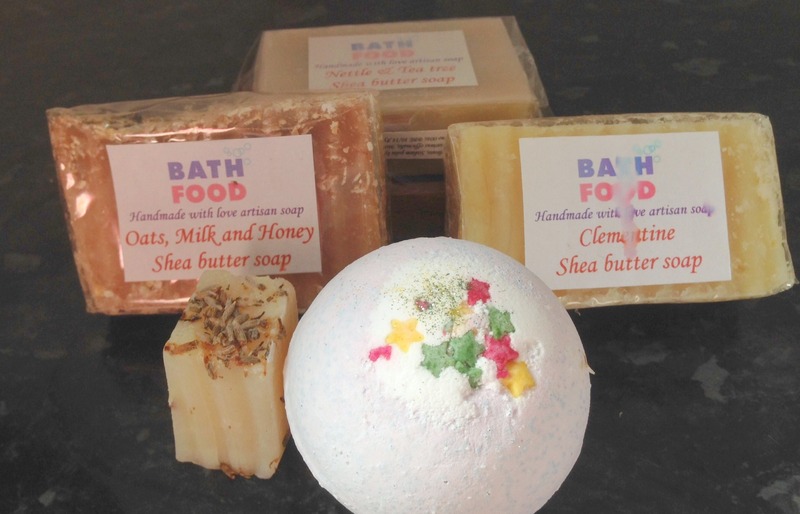 All of the Bath Food products are hypo allergenic and are suitable for young children as they do not contain any nasty chemicals and infact the Oats, Milk and Honey Shea Butter soap is suitable for those who suffer with sensitive skin and eczema. And another great thing about Bath Food soaps is that you can even lather them up and use them when shaving – which for me is a big bonus because I always forget to bring the shaving gel up from the downstairs bathroom when I am taking a bath! With so many different bathing products to choose from bath bombs to body souffles, to soap there is something gorgeous just for you. So why not visit Bath Food and treat yourself or maybe treat a special person you know, and give them the gift of some pampering ‘me time’ everyday just as I have been doing with my own Bath Food. Although Helen is my blogging friend, my opinions about her Bath Food products are honest and my own and they really are fab.